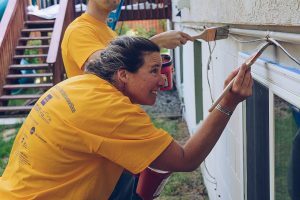 Giving Back One Brush at a Time | R&M Consultants, Inc. 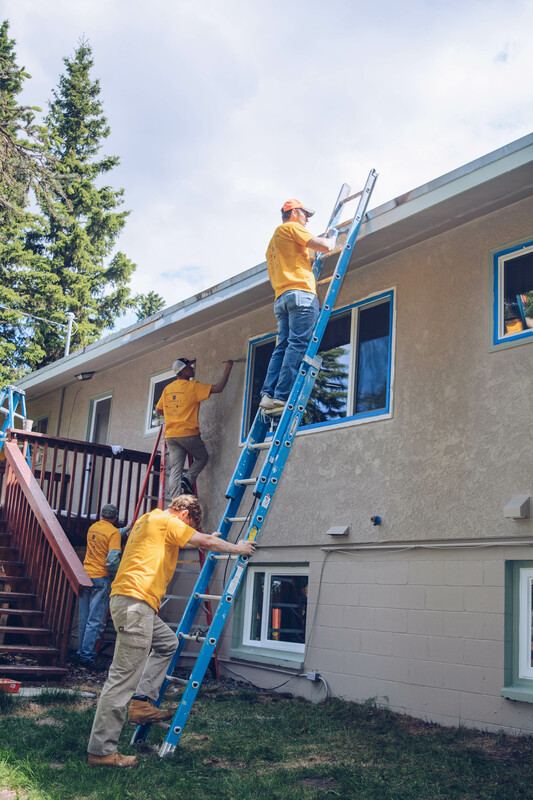 This past June, R&M teamed up with NeighborWorks Alaska to paint a home for a deserving family as a part of the Paint the Town program. 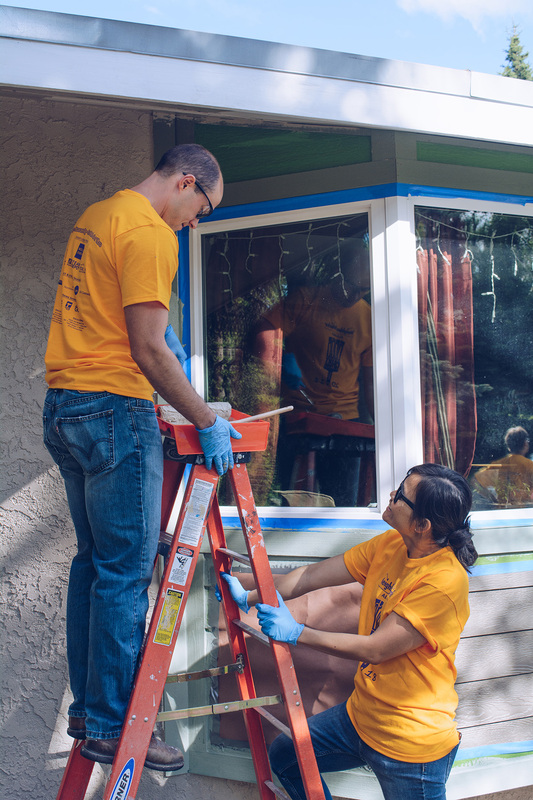 Paint the Town is an annual program that brings people from across our community together to give back to those who do not have the resources to take care of their homes on their own. Since 2006, NeighborWorks has painted and provided minor repairs to 149 homes with the help of businesses and community volunteers. The program was created to help low income, senior, disabled and veteran neighbors who face challenges in maintaining their homes as a result of either financial or physical constraints. 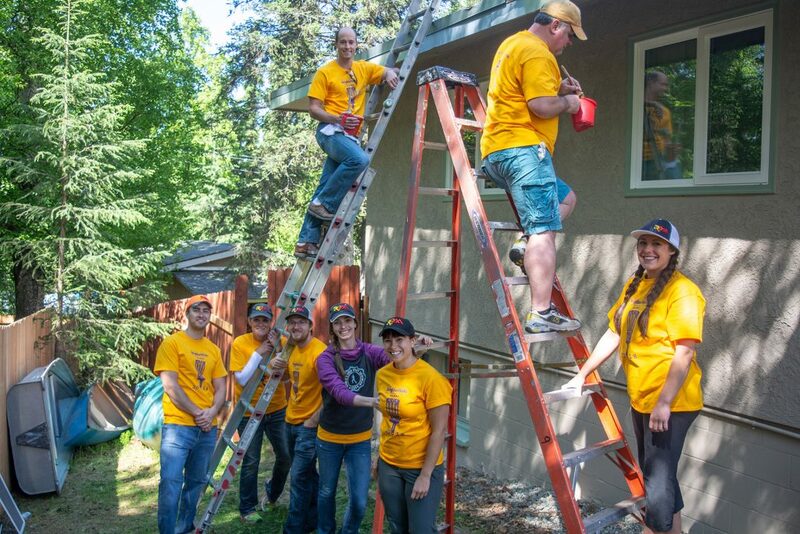 At 8:00 am, twelve R&Mers met at a house nominated to be painted in South Anchorage. Working with a group of volunteers from HUB International and Hutchings & Associates CPAs, the R&M team went to work painting house number seven of nine for 2018. This year, with the help of almost 200 corporate and community volunteers, NeighborWorks pained nine homes across the Anchorage bowl. Neighborhoods are the backbone of our communities, and we want them to be safe, well cared for places where people can live, work and play. This program restores neighborhood pride, raises property values and reinvigorates community. R&M Project Engineer Ryan Goentzel, PE and Group Manager of Planning Van Le, AICP on trim detail. Group Manager of Waterfront Engineering Kim Nielsen, PE concentrating on the perfect brush stroke. R&Mers Duane Anderson, PE, Brian Myers, PLS and Morgan Welch, PE getting up high.